Total honesty time. I have fibromyalgia, so I’m used to chronic pain, chronic fatigue and difficulties with mild insomnia. It’s no fun, but I find a weighted blanket really helps. 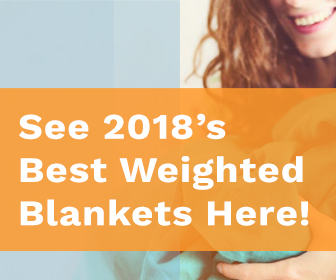 I’ve spent tonnes of time researching different natural health ways of trying to get better, and I know many people search to try and find out if weighted blankets can help their condition, or a condition of a loved one.